The families of Rangitāne o Wairau, the people of the 100 waters of Ruatere—ngā wai-rau o Ruatere, have endured warfare, colonisation, and the alienation of nearly every acre of their whenua. So when, on a day in April 2009, members of the iwi travelled to Canterbury Museum to reclaim the bones of sixty Rangitane tupuna, it was a moment of bitter-sweet poignancy. The tupuna, estimated to be over 700 years old, had been excavated by the Museum some seventy years ago for study and display purposes. The journey to bring their bones home, culminated with a moving reburial ceremony as the ancestors were buried as close to the original sites as possible. Then chair, Judith McDonald, said on that occasion, “we have always known where we are from but until now, part of that past has been missing. It has been returned today”. Travelling throughout the Wairau this week, I couldn’t help but think of the massive leaps forward that have been occurring in this very special part of the land. The ten kilometre boulder bank at the mouth of the Wairua River is of vital archaeological significance. Archaeologists from the University of Otago have been able to identify the journey of tupuna from Hawaiki, who settled generations before others who arrived at the lands of Te Tau Ihu o Te Waka a Māui. Investment funding from Te Pūtahitanga o Te Waipounamu has been able to support the telling of the stories that shape our collective knowledge; that help to strengthen the nationhood narrative that comes with living in Aotearoa. It was only right, therefore, that in this first week of Wave Nine funding, we returned to the Wairau, to help share strategies and suggestions about how Whānau Ora can be realised in all our lives. How appropriate it was that our hui in Picton was at none other than the Waves café! We use the terminology ‘waves’ to represent the dynamic of life which can be turbulent in one breath and tranquil in another. Wave funding is to help us ride the swell. We had a massive turnout in Ūkaipō, in heartland Grovetown. It is just so moving that in the midst of an unprecedented heatwave whānau members are so intent on seizing the Opportunity to Realise their Aspirations that they are turning up in big numbers to the Wave Nine workshops across Te Waipounamu. This week we held two workshops in Blenheim, one in Picton, one in Kaikōura and another in Dunedin. Ngaio Te Ua, Lorraine Hawke and Heather Manawatu in Kaikōura. While in Wairau I had the great privilege of attending the pōwhiri at Wairau Pā for the next cohort of students participating in the Whānau Ora professional development under the auspices of Tipu Ora. 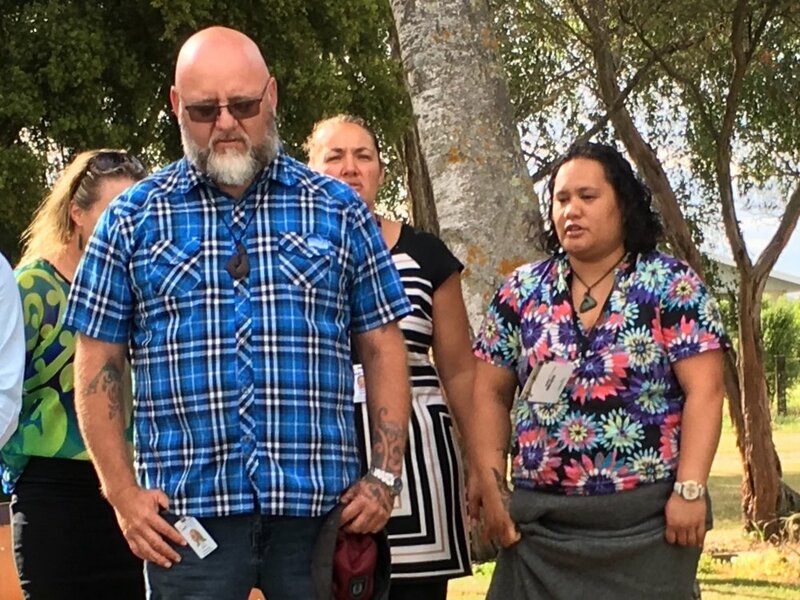 The opening day of the Certificate in Whānau Ora, as established in the Wairau, was guided through the wisdom and inspiration of the spiritual healer, Manu Neho. Manu is in the 16th year of her thousand year plan. I love that concept. I can only affect change for my line whakapapa. This is translated through the DNA down to my uri whakatupu. Thereby and effectively Living by Design and not by default. This creates a template that affords each generation the opportunity to grow into the great beings they are destined to be. Te Putahitanga o Te Waipounamu and ‘Tū Pono - Te Mana Kaha o te Whānau has teamed up with the Allright Campaign to develop a directory to increase whānau accessibility to Māori healers and wellbeing practitioners. The holistic approach to wellbeing taken by traditional Māori healers takes into account every aspect of one’s being. We thought that our fabulous Te Punanga Haumaru team (sites of safety) were perfect exemplars of wellbeing in action! Maire Kipa and Marg Henry paid a visit to Kawatiri this week to meet with the board of Te Ha o Kawatiri; to catch up with the establishment phase of the Whānau Ora Connect role. Keri Tait is officially starting in her role on 7 February, immediately after the Waitangi Day events in Westport (see below). Sylvia James, the Chair of Te Ha o Kawatiri invited Maire and Marg to discuss the pathway going forward. Te Ha attributes the support of mana whenua, Ngāti Apa ki te Rā To and Ngāti Waewae to the success in moving forward. 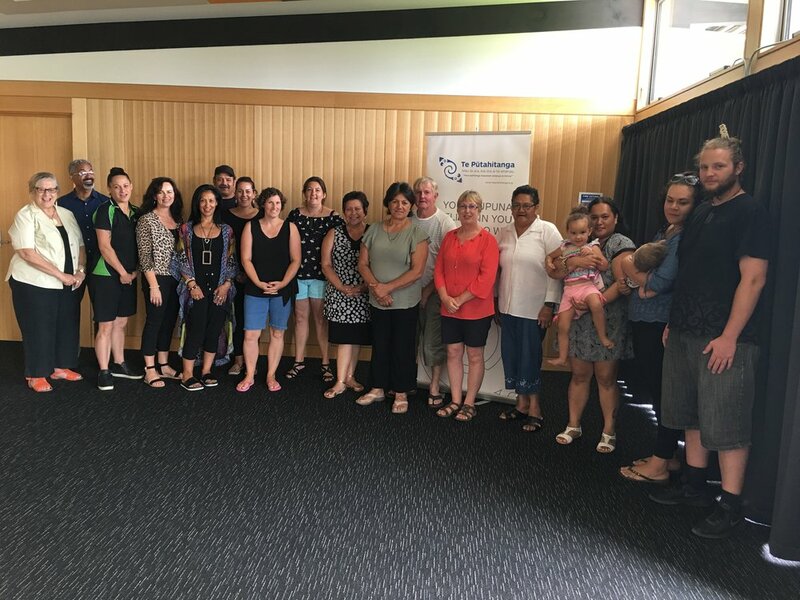 It was wonderful to hear from the group, the support that the Nelson Marlborough DHB has invested in Waka Whenua, one of our earlier entities supported by Te Pūtahitanga o Te Waipounamu. Whānau across Whakatū have the opportunity to be gifted with an ipu whenua as part of their birthing experience. “Placenta planting anchors our belonging to the whenua (land) through the whenua (placenta) and serves as a reminder of our unique place in the world, our place to stand, our special belonging as of birth right. We create earth friendly containers (Ipu) for placenta planting that pay tribute to our first formed organ…! And that is when the idea of Waka Whenua was conceived and so began our whānau dream, our aspiration to create tangible expressions of love and connection. A modern context for an ancient tikanga/customary practice.